The Dining Room makeover project is now well underway, and starting to come together. In the first post in this series, I discussed how we are hoping to transform this room into something much more fun, practical and user friendly. It will still have a Dining Table but will be more of a Den that the whole family can get more use from. Just to remind you, this is how it looked at the end of the last post. All of the ebay sales are nowcomplete and we’re living with less storage, and for now, it does seem to be fine. I’ve added a few more ways to store shoes and hats and I can’t tell you what a difference the new Dining Table is making. Take a look at the video below to find out more. This week though I’ve been focusing on PAINT. NEXT Home have very kindly sent me some paint to try out in the dining room, and we’ve given it a really good road test. I wanted to keep the base very neutral and fresh, so I’ve just gone for a shade of white, called Paper White. It’s from the Authentic range which is supposed to be durable and easy to clean – essential in a family room! I really don’t think there’s any need to shy away from pale paint colours in family spaces so long as you choose one that’s easy to wipe clean, and that you keep some spare for future touch ups. I also have a Dove Feather pale grey colour that I’m yet to decide how to use, but it should be up somewhere by the time we do the next post. I’m really impressed with the paint range from Next. It is designed to complement their wallpapers and other home products of course, but that doesn’t mean you can’t use it outside of this. 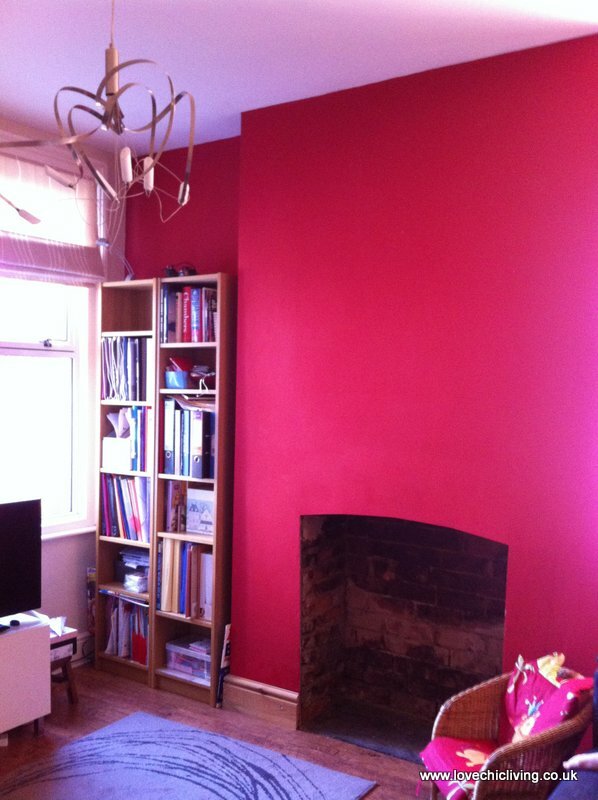 The paint itself was really thick and went on very well, even covering the original bright red walls. For £20 a tin, I would highly recommend it! The main reason for keeping the walls pale and simple is that we have a very colourful wall mural on order to put up on the chimney breast and I really didn’t want to overload the room. I’ve still only viewed the mural online but I’m hoping that this colour will work with it. Even whites have many different tones and base shades; Paper White is quite grey or blue which I thought would work well. Fingers crossed. There’s still quite a bit of painting to do. The walls have all had 2 or 3 coats, and we’ve started on the woodwork, but there’s still the ceiling to do. It’s very hard fitting it in around the children, and takes just as long to clean the equipment as it does to paint a wall. Does anyone else find it difficult to fit in decorating around the family? And so over to this week’s video. Have a look around the room and see what we’ve changed and added so far. It’s still a work in progress so do be kind towards our efforts! Oh, and do excuse the technical hitch on the video. 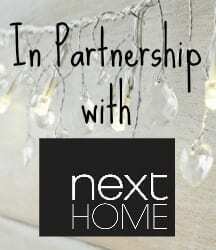 Bloggers would you like to link up your favourite home interiors posts from the last few weeks or so? It could be a makeover of your own, or something cool that you bought, or even something fabulous that you’ve spotted online. Maybe you’ve changed some furniture around or you’re loving a particular corner of your home. Whatever it is you’ve written about, enter your link below, comment on at least one other post, and don’t forget to grab the badge and code from the sidebar. 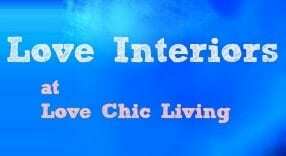 Let’s link up and show how much we Love our Interiors! Thanks for hosting. Love how your dining room is coming along, great idea to remove the door. I love those Tesco chairs, ours are looking a bit tatty so I’m looking around for some new ones. Wow! What a difference that paint has made. Looking great! Great stuff Jen, love how it’s coming along. You look like you’ve gained so much space. I love tht you are using the table more now too….your design works!! Thanks Amanda, yes it does feel more spacious, and I’m so excited about the next installment, eek. It’s going to either be amazing, or dreadful!! Hehe, bear in mind my stuff is in hiding at the moment until the room is finished! It will def look more ‘lived in’ as the weeks go on!